https://www.golfdiscount.com/custom-titleist-vokey-sm7-tour-chrome-wedge?___store=default 140633 Custom Titleist Vokey SM7 Tour Chrome Wedge https://media.golfdiscount.com/catalog/product/t/i/titleist-vokey-sm7-tour-satin-wedge_02_1.jpg 0 0.0000 USD InStock /Golf Clubs /Golf Clubs/Wedges /Golf Clubs/Wedges/Men's /Golf Clubs/Wedges/Sand Wedges /Brands/Titleist /Brands/Titleist/Wedges /Golf Clubs/Custom Clubs /Brands/Titleist/Spin Milled Wedges /Golf Clubs/Custom Clubs/Wedges /Brands/Titleist/SM7 /Brands/Titleist/Custom Clubs Get more confidence and lower scores with the new Vokey SM7 Wedges. 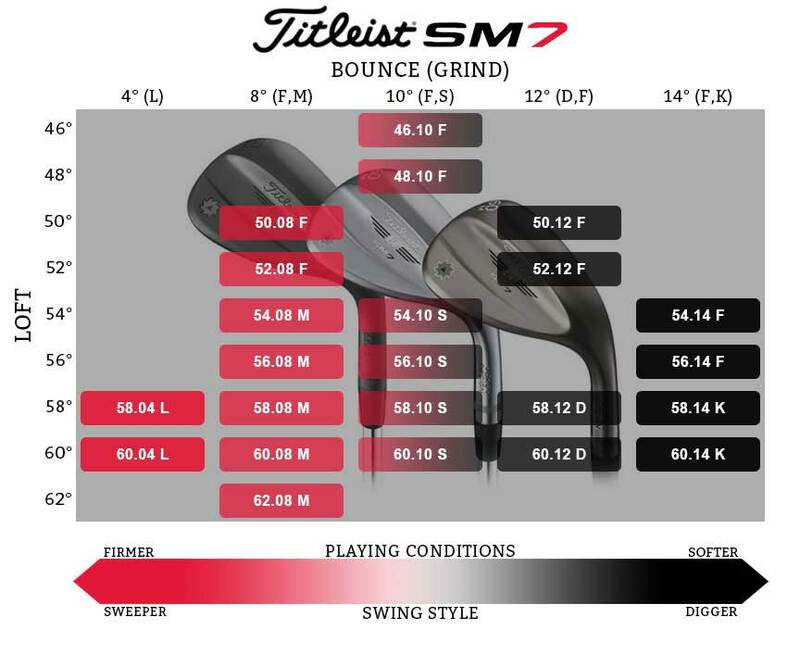 Improving in all three areas of wedge performance, new SM7 models provide increased shot versatility with expanded fitting options, improved distance and trajectory control, and more spin through precisely tuned CG locations and tighter Spin Milled grooves. -- Please Select --Standard +.25" +.5" +.75" +1" +1.25" +1.5" +1.75" +2" -.25" -.5" -.75" -1" -1.25" -1.5" -1.75" -2"
My order was received and sent out in a prompt manner. The wedges came in just as I “spec’d” them out, no mistakes. I never had a matching set of Vokey wedges before; just one at a time usually. It’s hard to beat the selection of sole grinds that Vokey offers on they’re lineup. 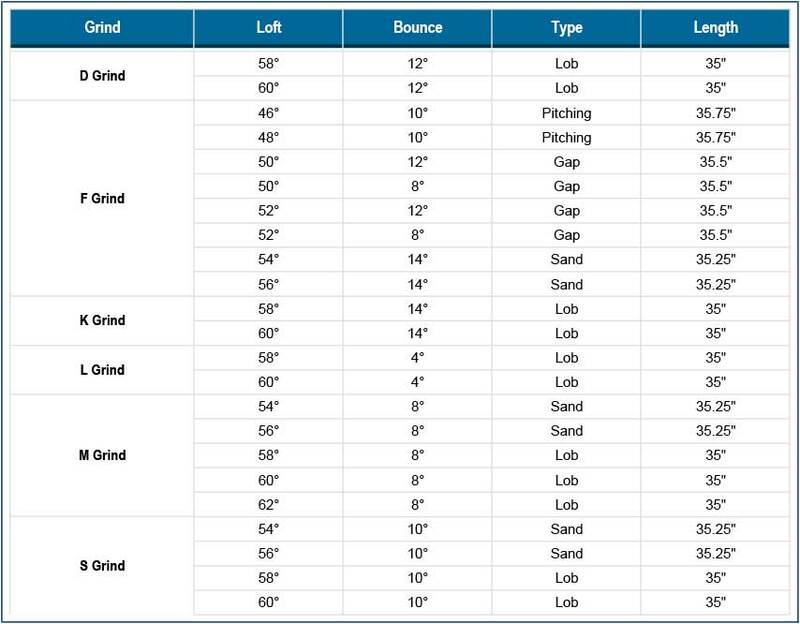 If you are aware of the sole and bounce you need for your game, they likely have a wedge to fit you. And they’re “online selector” chart is easy to understand for everyone when choosing which is right for you. The chrome finish is bright, but not blinding at address. And I feel like after a dozen rounds already, they don’t scratch or ding as easy as other wedges I’ve played. I played Cobra wedges last season, really enjoyed them, but they don’t seem to hold up as long as Vokeys. Overall very happy with my purchase. Really a great wedge,got a fifty degree one for use as a gap wedge and it hasn’t disappointed. Customer service is great. Competitive prices on everything, will continue to do business with. Would recommend to anyone looking to purchase online! The new custom 56 and 60 wedges are great. What a difference custom wedges are.